It can be done. And we can show you how! 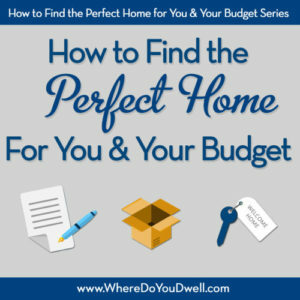 In our 7-part series, How to Find the Perfect Home for You and Your Budget, you’ll learn how to incorporate our strategies with your own to find a home that is the right fit for your lifestyle, needs … and your budget. You’ll know what to do every single step of the way and avoid having that dreaded buyer’s remorse. Keep in mind, that your first home is most likely the stepping stone for your next home. You want to do it right the first time and also set yourself up to be financially able to move up to the second home if and when the time comes. Before you do anything else, you must evaluate your wants and needs for a home. It’s time to brainstorm and figure out what’s “under your hood” when it comes to what is best for your home purchase. This will be the very first, but most important, step on your home-buying journey. These 12 questions will get you thinking out-of-the-box about your home search and set you on the right path. We promise, they aren’t what you think they are! Week 2— Are You a “House” or a “Location” Person? It’s time for some more self-evaluation and for you to really decipher what’s most important to you in your daily life at home. 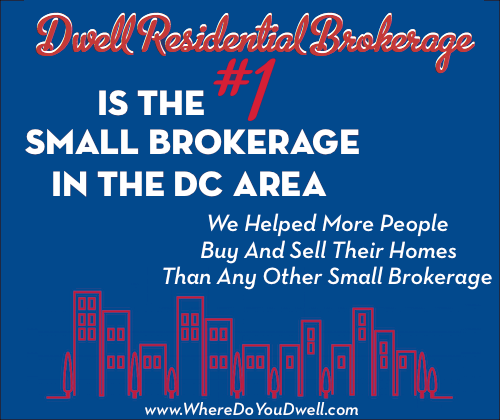 Usually people tend to lean toward one or the other — being a “house person” or “location person. ” Going through this exercise will help you prioritize your criteria and help you zero-in on what’s most important to you for this next home. There’s a very specific formula we use with clients to make sure they end up with the house that best fits their needs and budget. It requires some patience to make sure things are done right. This is the biggest financial decision of your life, and it should be done slowly, steadily and with precision. This article will go over the 3 steps you need to take that can lead you to the right home for your budget. There is so much more than meets the eye when it comes to financing your first home purchase. Gone are the days when one loan fits all buyers and having to wait till you can put 20% down (psst … we even show you how to love mortgage insurance!). This important article will go over why it’s important to get the lender and pre-approval process done correctly so that you can move forward quickly if you want to make a serious offer on a home. These three factors – budget, location, and your criteria for a home — are intertwined and play a key role in finding the “perfect” home for you. This article explains how these three factors influence each other in your search for a home; and how you “put it all together” is essentially your roadmap for house hunting. Going through this process and understanding how they’re linked will help you make the right decision on a home. Kids or no kids, living in a neighborhood with excellent schools can be beneficial to homeowners. For example, living within the boundary for what’s considered a “better” school could mean a higher resale value and vice versa. For those of you with school-age kids, “moving for schools” will most likely dictate the location of your next home. But, remember that fair housing laws prevent your real estate agent from offering any opinions on the quality of the schools or school districts. This article is a great starting point on how you can best search for a home if a school district is your #1 priority. Week 7 – “As Is” Home – Deal or No Deal? Some first-time buyers may be tempted to buy an “as is” home if the price is right to get into a neighborhood they love. You do need to tread carefully though since there can be vast differences on the state of that “as is” condition. Remember that the seller has no intention to do any repairs before selling it. This article will discuss the steps you should take if you plan to make an offer on an “as is” home, and how to determine if it’s a deal or no deal. Stay tuned in to your email inbox each week so you can learn everything you need to know to buy the perfect home for you and your budget; and avoid buyer’s remorse! !